Cleveland, Ohio. Great Lakes Shipyard laid keels for the first of ten (10) Damen Stan Tugs 1907 ICE to be built for The Great Lakes Towing Company on Wednesday, August 10, 2016. 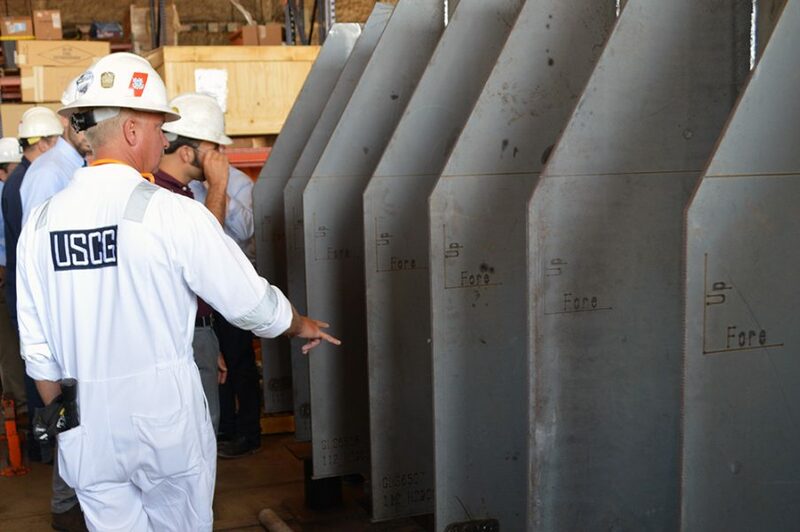 This milestone marks the beginning of a new construction program to introduce two (2) new harbor tugs per year for the next five (5) years at the Shipyard’s facility in Cleveland, Ohio. “This new construction program is further evidence of the innovative spirit the Towing Company has always embraced since its founding over 117 years ago, and reflects the commitment we have to our customers and the entire Great Lakes/St. Lawrence Seaway marine transportation industry. We continuously strive to improve the quality and safety of our products and services, and how well they are delivered to our customers. As leaders in the industry, we believe we have an obligation to make sure our customers receive the best service possible,” says Joe Starck, President of the Towing Company. 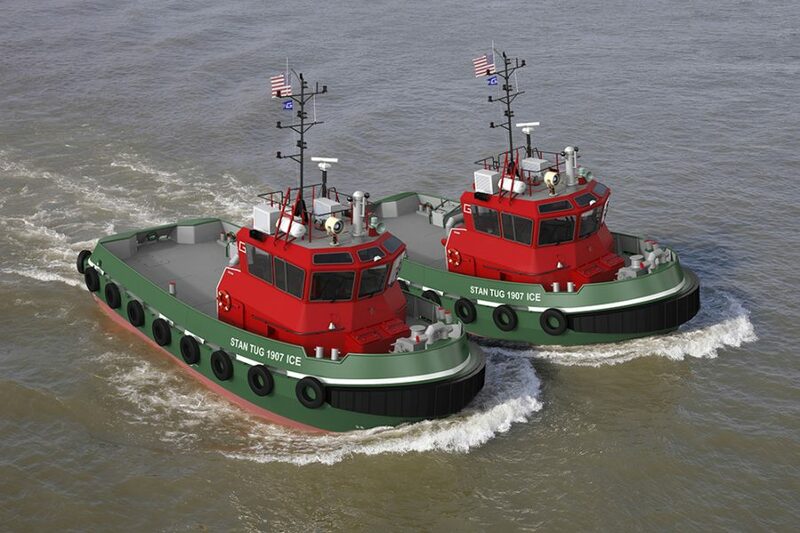 Great Lakes Shipyard to Build First Damen Tugs Under License in U.S. The Great Lakes Towing Company & Great Lakes Shipyard entered into a partnership with B.V. Scheepswerf Damen Gorinchem (Damen) at the 2015 New Orleans Workboat Show in which Damen will provide engineering for its proven designs and Great Lakes Shipyard will receive full construction, design and engineering support from Damen. 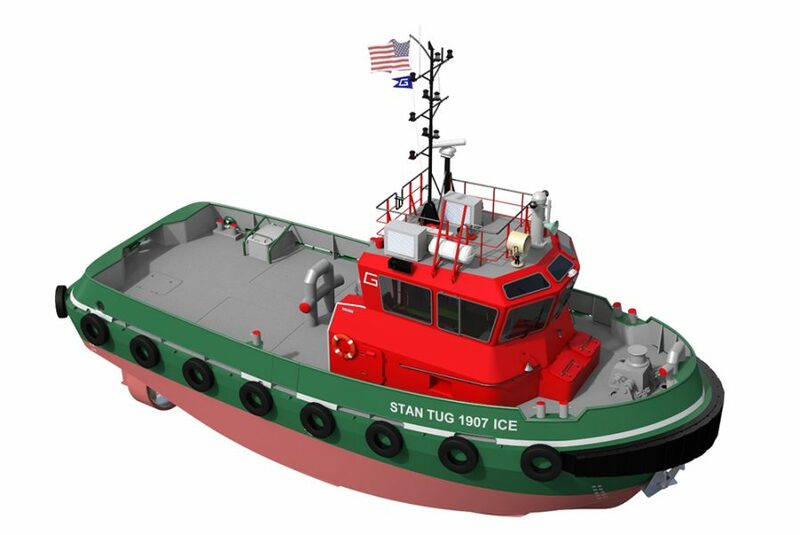 While these are the first tugs to be built in the USA under Damen’s Technical Cooperation program, many Stan Tug 1907 ICE tugs can be found operating around the world. “We are pleased to continue our relationship with Damen. Our partnership with Damen, as an authorized builder of Damen designs, was a strategic move to provide our customers with the wide product range and international experience of Damen’s design portfolio, combined with quality American craftsmanship and tugboat experience from Great Lakes Shipyard. 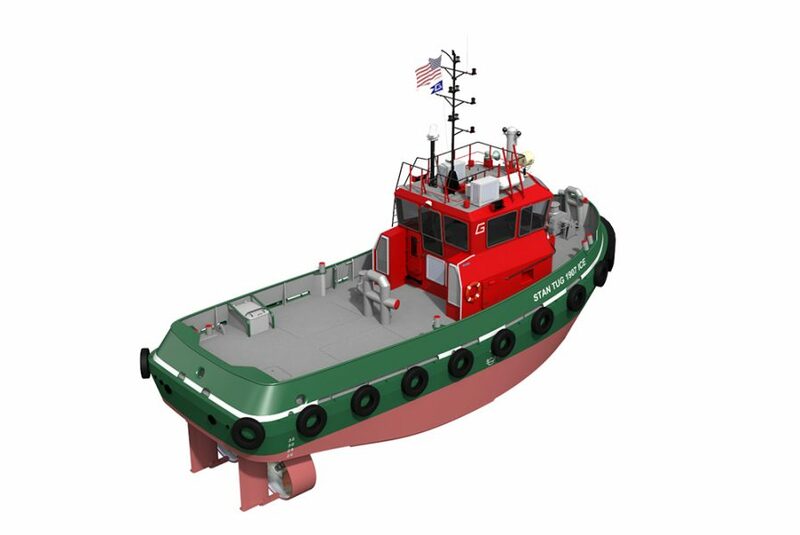 The Damen license agreement expanded upon our existing product offerings, which already included designs, such as the Handy-size Class tugs, developed under our longstanding partnership with naval architects, Jensen Maritime Consultants of Seattle, WA. As The Towing Company continues to grow, build new tugs and overhaul the tugs in its existing fleet, the Shipyard will also continue to expand and grow,” says Starck. 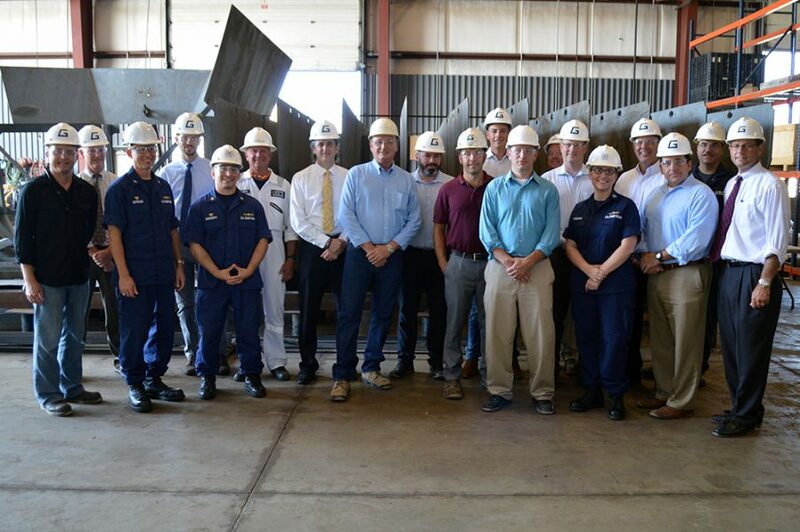 Great Lakes Shipyard to Build First Tugs in Compliance with USCG Subchapter M Regulations in U.S.
On June 20, 2016, the U.S. Coast Guard announced new towing vessel regulations establishing new requirements for the design, construction, onboard equipment and operation of U.S.-flagged towing vessels. These regulations, which were developed over time with input from the Towing Safety Advisory Committee (TSAC) and the towing vessel industry, were incorporated into Title 46 of the Code of Federal Regulations as the new Subchapter M. By constructing to ABS requirements and utilizing the classification society for auditing to the International Safety Management (ISM) Code, the new vessels are demonstrating compliance to Subchapter M. Under the regulation ABS is fully authorized as a third-party organization to work on behalf of the US Coast Guard. Additionally, ABS has been authorized to conduct auditing under the Americans Waterways Organization Responsible Carrier Program. Pictured: CWO Robie Moorhouse, Marine Inspector, USCG Marine Safety Unit Cleveland inspecting the keels of all ten (10) Great Lakes Harbor Tugs. As provided in the Subchapter M regulations, certain regulations are to be phased-in and existing towing vessels will have an additional two years to comply with most of the requirements. With certain exceptions, these regulations apply to U.S.-flag towing vessels 26 feet or more in length and those less than 26 feet moving barges carrying oil or hazardous material in bulk. The rule lays out new compliance options as well as new equipment, construction and operational requirements for towing vessels. 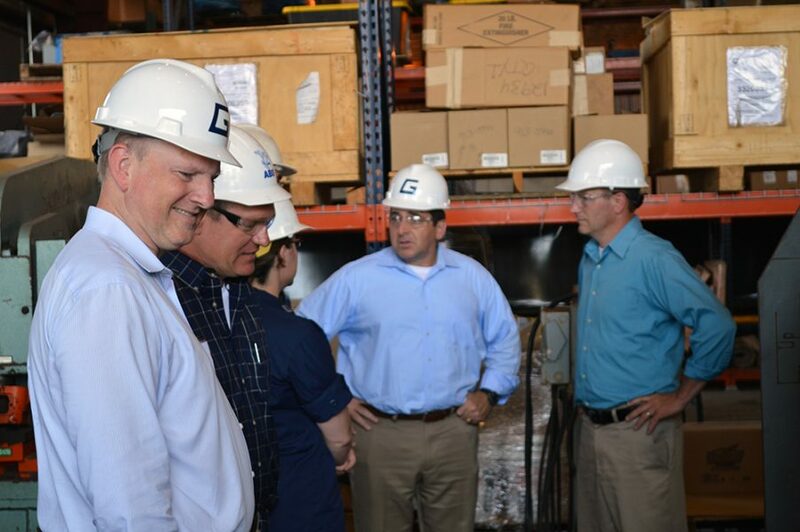 Pictured (Left to Right): John McDonald, Vice President – Central Region, ABS Americas; Scott Tozzi, Principal Surveyor, ABS Cleveland; Roy Bleiberg, Vice President, Engineering, ABS Americas inspecting the keels of all ten (10) Great Lakes Harbor Tugs. “We are proud to continue serving as a trusted technical advisor to the Great Lakes Towing company and expanding our relationship through this project,” says John McDonald, ABS Regional Vice President for the central United States. Damen Shipyards Group operates 32 shipbuilding and repair yards, employing 9,000 people worldwide. Damen has delivered more than 5,000 vessels in more than 100 countries and delivers some 160 vessels annually to customers worldwide. Based on its unique, standardized ship-design concept Damen is able to guarantee consistent quality. Damen’s focus on standardization, modular construction and keeping vessels in stock leads to short delivery times, low ‘total cost of ownership’, high resale values and reliable performance. Furthermore, Damen vessels are based on thorough R&D and proven technology. Damen offers a wide range of products, including tugs, workboats, naval and patrol vessels, high speed craft, cargo vessels, dredgers, vessels for the offshore industry, ferries, pontoons and superyachts.